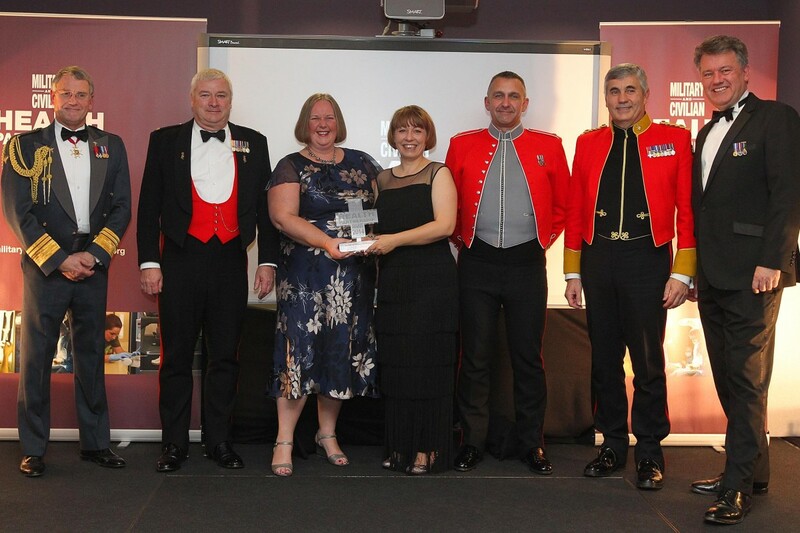 The Sussex Armed Forces Network, has won a National Military and Civilian Health Partnership Award for its work on education, training and research with local military personnel. The network brings together a wide range of organisations including NHS Clinical Commissioning Groups, NHS Trusts, Councils, Ministry of Defence representatives, local charities and the police, who work closely to ensure the physical and mental health needs of the local Armed Forces community (including veterans) are being met and considered across local health services. The National Military and Civilian Health Partnership Awards were launched earlier this year by Anna Soubry MP, Minister for Defence Personnel, Welfare and Veterans, and Dr Dan Poulter MP, Parliamentary Under Secretary of State for Health to recognise the work taking place across the county to provide Armed Forces personnel with excellent health and social care. The Sussex Network won the category for education, training and research at an award ceremony on 27 November 2014 at the Headquarters of the Surgeon General at Defence Medical Services (Whittington in Lichfield) attended by leading representatives of the forces. The Sussex Armed Forces Network was commended for its work on developing a unique set of relationships to ensure organisations are identifying and meeting the specific needs of the Armed Forces community through local health and care services. By working together it has been able to break down organisational barriers and develop bespoke pathways of care for Armed Forces (whether serving, reservist or veterans) personnel and their families and raise awareness of the community covenant through a full range of events, fact sheets and online training. It’s work has already been recognised by leading charities including the Royal British Legion and SSAFA and key lessons learned as well as best practice are already being applied across local health services in order to better target other groups of patients. Kate Parkin, Lead for the Sussex Armed Forces Network said: “It is an honour to have won such an award. There is amazing work going on across the Country in support of the Community Covenant and what we are achieving here in Sussex is a prime example of what can be achieved by working collaboratively”. One Response to "Sussex Armed Forces Network wins National Military award"